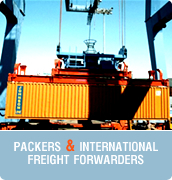 IMT CO is one of the leading packing and freight forwarding organization in Pakistan. We deal in the movement of all sorts of goods within the country as well as outside the country on our international circuit. We specialize in project handling movement of heavy equipment and packing & forwarding of household goods on door-to-port as well as door-to-door basis.